It is assumed by Egyptologists that the Great Pyramid of Giza was built in the reign of the pharaoh Khufu (known as Cheops to the Greeks), in the fourth Egyptian dynasty around 2600 BC. This date has recently been questioned based on studies of water erosion on the sphinx. It may be that the Great Pyramid of Giza also is much older than previously thought. Herodotus, in the 5th century BC, who has been called the "Father of History" wrote that Cheops never used the great pyramid as a tomb, but was buried elsewhere, "in a subterranean region on an island surrounded by the waters of the Nile". This was also confirmed by another ancient historian, Diodorus Siculus, who said that Cheops was buried "in an obscure place". As far as we know, the first people to enter the great pyramid since the time of Khufu were the Arabs in 820 AD. Under caliph, Al mamoun, the Arabs broke into the great pyramid (since they could not find the hidden entrance) by boring into the limestone with crude instruments. After months they did manage to break in and find the descending passage. The connection of the descending passage with rolex replica the ascending passage was blocked with granite plugs so they bored around these also. They finally reached the Kingà¡®d Queenà£¨amberà¡®d found nothing (except the empty granite box called "the empty coffin". They were disappointed. No treasures, mummies, etc. were found. There is a report by an Arab, edrisi, who died around 1166 AD. he entered the pyramid through the forced entrance made by Al mamoun and describes not only an empty granite box in the king's chamber, but also a similar one in the queen's chamber. It was uninscribed and undecorated just like the one in the king's chamber. What ever happened to this granite box in the queen's chamber is a mystery. The earliest scholar to conduct the first scientific study of the great pyramid was John Greaves in 1637. He was professor of astronomy at the University of Oxford. He wrote the book "Pyramidographia" which was the first book ever published just on the Great Pyramid of Giza. A Roman Catholic, Pere Claude Sicard visited the great pyramid in 1715. His account is interesting in that he describes an unusually feature of the empty coffin in the Kingà£¨amber. He states " it was formed out of a single block of granite, had no cover, and when struck, sounded like a bell". Others have also reported about this strange melodic sound that the coffin emits when struck. Abbe Claude-Louis Fourmont visited the great pyramid in 1753 and also noted the sonorous coffin had not any inscription on it. In the 18th century many foreign visitors came to the great pyramid. They were scholars, scientists, historians, explorers, etc. 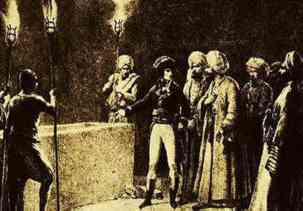 One of the most famous visitors to the great pyramid was Napoleon Bonaparte. His military expedition to Egypt in 1798 was not only military but archeological as well. He took with him engineers, surveyors, astronomers, artists and archeologists. They surveyed, measured, explored, and made drawings of the great pyramid. Their work was published in many volumes from 1809 to replica watches 1822 by order of Napoleon. There is an interesting note to this story about Napoleon on his visit to the great pyramid. He asked to be left alone in the Kingà£¨amber. When he emerged, it was reported that he looked visibly shaken. When an aide asked him if he had witnessed anything mysterious, he replied that he had no comment, and that he never wanted the incident mentioned again. Years later, when he was on his deathbed, a close friend asked him what really happened in the Kingà£¨amber. He was about to breitling replica tell him and stopped. Then he shook his head and said, "No, what's the use. You'd never believe me." As far as we know, he never told anyone and took the secret to his grave. (It is interesting to note that there is an unsubstantiated story that Napoleon had hinted that he was given some vision of his destiny during his stay in the King's Chamber). Alexander the Great also spent time alone in the King's Chamber like many famous people throughout history. What draws these individuals to this place?